In our diverse society, being able to communicate effectively with people of different backgrounds is of increasing importance. At Universities particularly, the increasing faith diversity presents a real need to be able to have meaningful conversations about faith and belief. However, staff and students often lack the confidence and skills to approach these issues. The Faith & Belief Forum’s Higher Education training offer takes advantage of 20 years of interfaith and training expertise, coupled with our UN award-winning work with student leaders. A F&BF staple training, delivered across sectors. A brilliant introduction into the issues and complexities surrounding faith and belief work, identity and language with a specific campus focus. A practical opportunity to think through strategies to make your campus, and campus events, more inclusive to different faiths and beliefs, drawing on examples of best practice. 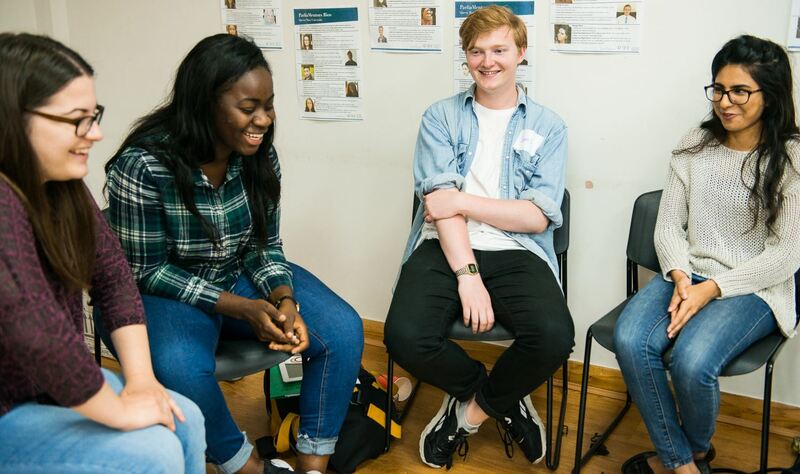 In our facilitation training, new facilitators and experts alike can gain practical skills and tools to help set spaces for effective discussion, respond to sensitive issues and ensure students get the best from interfaith/intercultural interactions. Explore barriers to dialogue, and learn strategies to maintain safe and supportive environments to discuss and respond to controversial issues, with opportunities to explore topics particularly relevant to your campus.